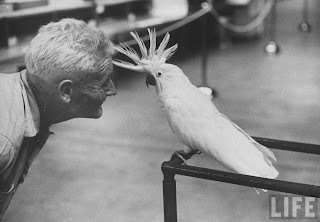 Man looking at a cockatoo at the Tenth National Cage Bird Show. 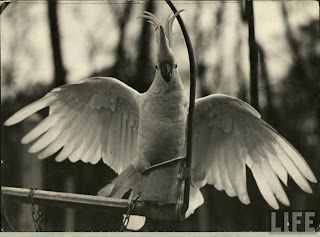 Fashion model Donyale Luna holding out toy for cockatoo through fence in wildlife sanctuary. 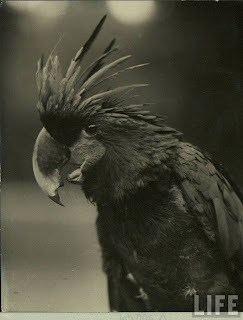 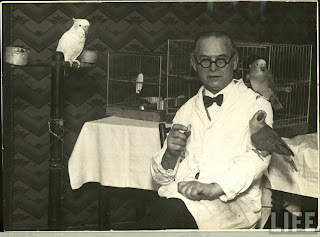 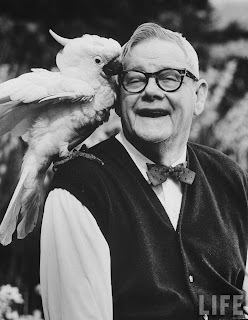 Australian naturalist Edward Hallstrom with Crested Cockatoo. 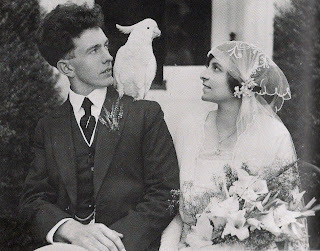 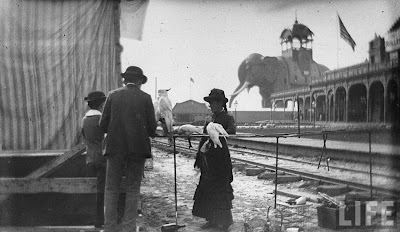 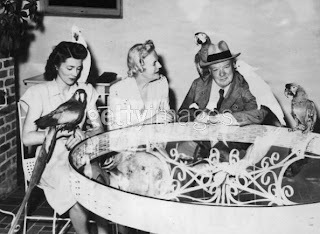 A young girl and boy visiting w. a man and his performing parrots and cockatoos outdoors at Coney Island. 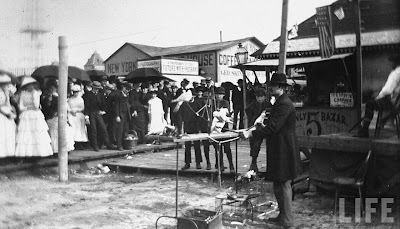 Crowds watching parrots and cockatoos performing tricks on tightropes, outdoors at Coney Island, Brooklyn, NY. 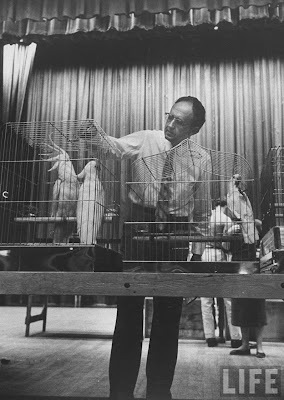 Man feeding the cockatoos at the Tenth National Cage Bird Show. 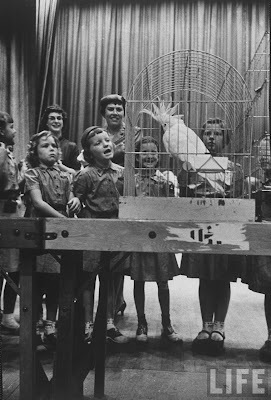 Young girls looking at a cockatoo at the Tenth National Cage Bird Show. 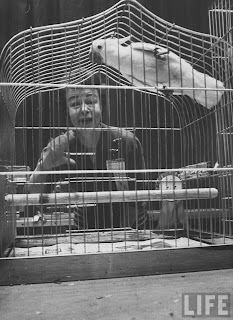 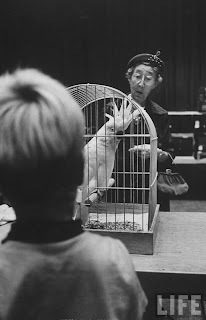 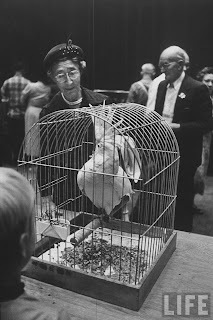 Woman looking at a cockatoo at the Tenth National Cage Bird Show. 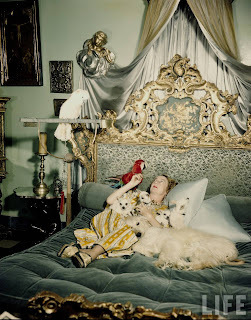 Portrait of Countess Phyllis della Faille de Leverghem in bedroom of her villa reclining on her ornately carved and tapestried bed, holding pet parrots, chihuahuas & afghan dog. 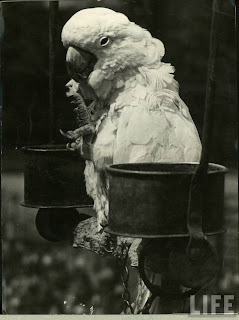 Cockatoos perched on a tree branch at the Brookfield Zoo. 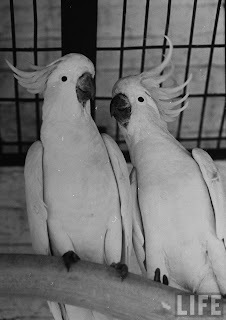 Camp mascots of No. 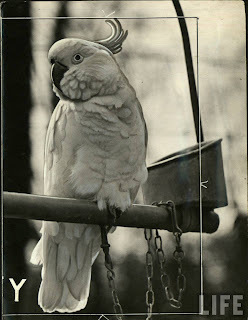 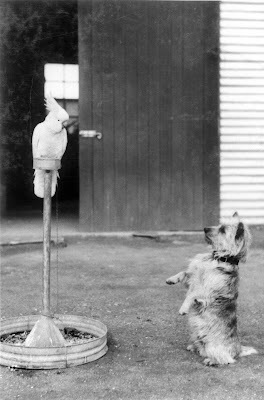 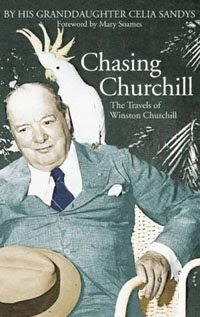 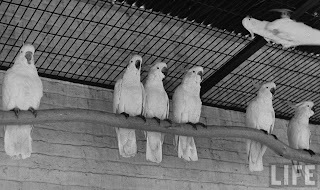 1 Camp, Tatura Internment Group, "Whacko" the sulphur crested cockatoo, and "Cobber" the dog. 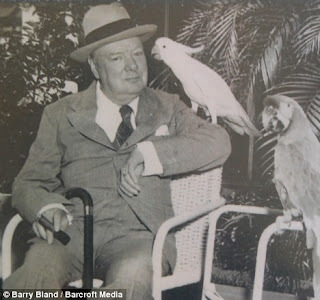 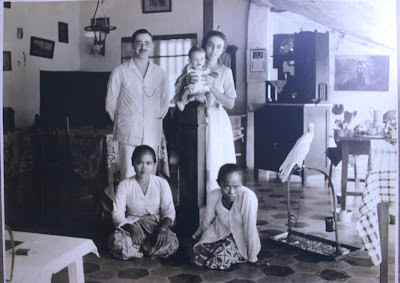 Family and parrot in the Dutch Indies about 90 years ago.